Good morning and I hope you’re looking forward to another long weekend – it will certainly be a long weekend for me as I’m working through it! Last week I had the privilege of playing at the fabulous Coombe Hill Golf Club in Kingston. It was a beautiful day and I managed to shoot one under par which I was really pleased with. The course was in great condition and the greens were very fast and particularly tricky to gauge. The course itself is short so accuracy played more of a part than length. It was a great day and I can’t wait to play there again. 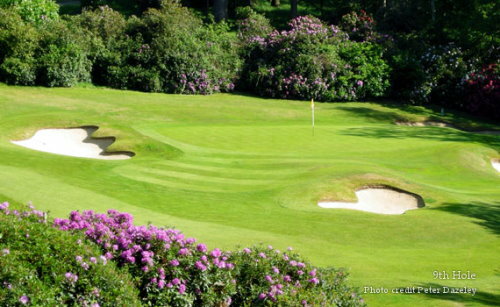 I have also entered the British Open qualifying event at Hankley Common on 22nd June so need to get as much practise in as possible before then. I’ll tlak more about this nearer the time. Let me know where you’re playing this week, and good luck wherever it is! This entry was posted in Blog Post and tagged Coombe Hill Golf Club, Hindhead Golf Club, james irons golf. Bookmark the permalink.